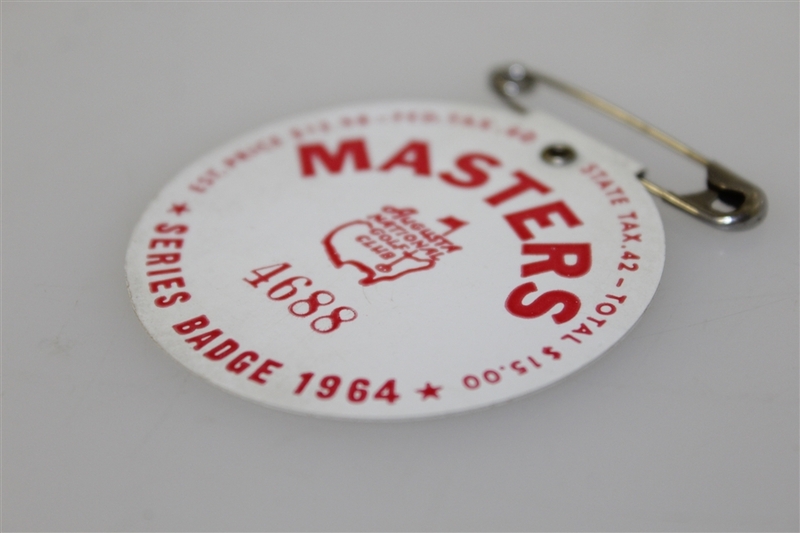 Lot Detail - 1964 Masters Tournament Series Badge #4688 - Palmer's 4th & Final Green Jacket! 1964 Masters Tournament Series Badge #4688 - Palmer's 4th & Final Green Jacket! A key piece of the Masters badge puzzle! This 1964 badge with its often problematic principal color being white, has bucked the discoloring woes which plague so many offerings and still is in lily white condition. Arnold Palmer won his impressive fourth Masters for Arnie's Army in '64, eclipsing Demaret and Snead's three titles! 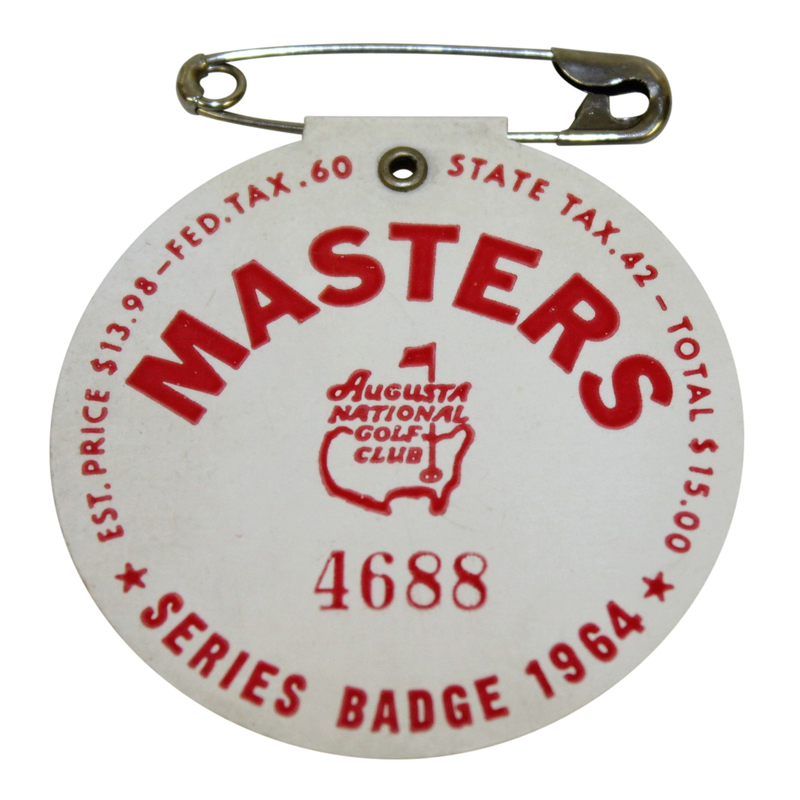 Badge #4688, with a diameter of 2", is a near mint condition series badge from that most memorable of Masters contested in 1964. 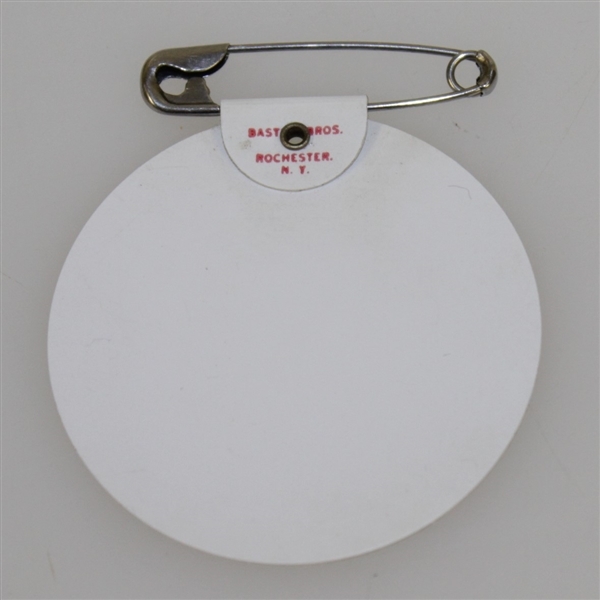 The original pin is still attached to this badge.